can’t find them, make them. Today I spent many times designing a database for my database lab project.It’s very hard to Model a part of real world environment for a virtual world application with limited facilities. 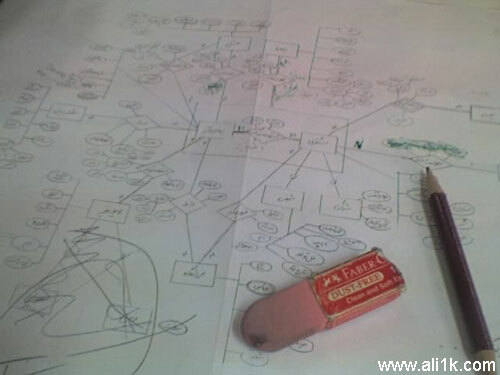 ER(Entity Relation) diagram is a good tool but not complete in understanding. another notation on the column names to show the foreign keys. you have begun a diagram, you are committed to one schema design. yesterday was birthday of my brother’s beautiful girl.It was a cold snowy night! When i first saw the tiny baby with only 2.9 Kilogram weight,i were very excited! it was wonderfull!